Cute! 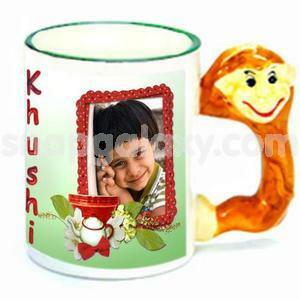 Personalize this adorable monkey handle photo mug. with your childs favourite photo! Check out the range: Dolphin, Monkey, Tiger & Horse animal themed photo mugs. Color : White with monkey handle.